We provide the very best dog home boarding near you in the Moreton, Shipston, Chipping Campden and Banbury areas. Dogs deserve a holiday too! “Welcome, its lovely to meet you! Let’s have a cup of tea to get to know you and your dog. We’re your dedicated local dog-loving team”. Hello, thanks for checking in to our dog loving website. We hope you’ll find it interesting and useful. 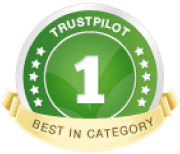 We’re Barking Mad Banbury and we are thrilled and proud to offer you our multi-award winning, 5-star Trustpilot rated 1-to1 dog boarding service in Oxfordshire, Warwickshire, Gloucestershire and Northamptonshire. You may also have seen us on TV! Your holiday is all about exploring new places, experiencing new sights and sounds as well as simply just relaxing. Here at Barking Mad Banbury we believe your four-legged best friend deserves just the same. If you need loving home from home dog boarding in Banbury, Shipston, Moreton, or Chipping Campden contact us at Barking Mad and let us take all the logistics, stress and worry out of boarding your dog. We’re dog lovers like you and thoroughly understand how hard it can be finding a trusted, loving and secure home for your waggy-tailed one while you’re away. Rest easy, we’re local and take care of absolutely everything. And with more than thirty years in the hospitality industry you can be sure we know how to deliver a great boarding experience for your dog and peace of mind for you. Married for over 20 years, we’ve worked together in small businesses for most of our married lives. We’ve grown up with dogs – Mackintosh the Westie, Ting the Peke, Hugo the Great Dane and a Lab named Della. Having returned to the UK from working in the Far East we’re currently awaiting our next four-legged fur baby. Both hailing from Manchester, we first came across Barking Mad relaxing aboard a luxury liner. Well ok, it was the Isle of White ferry, but as dog lovers we instantly knew Barking Mad was exactly the pet care business for us. 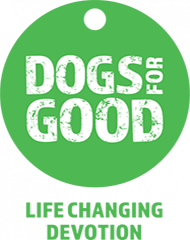 After all, what could be better than spending our days making lovely doggies happy amidst the gorgeous Cotswolds? We’ve been visiting family in these parts for years and it’s truly joyous living and working here with Barking Mad Dog Boarders and providing the UK’s No.1 dog home sitting service in Shipston-on-Stour, Chipping Campden, Moreton-in-Marsh and Banbury. When not working with pooches, we both love to travel and going to the cinema. Andrea enjoys treading the boards with local Am-Dram groups, while I will happily spend hours poring over cookbooks then making a huge mess in the kitchen. 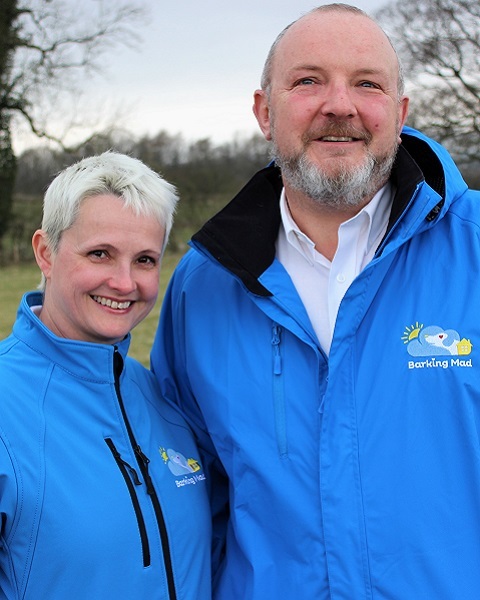 Get in touch and let Barking Mad Banbury dog boarding take the lead with your furry best friend! Hope we can speak soon! We’d love to meet you and your dog.